This week is all about tricks and treats, so in observance, I’m breaking from the (not so) strict rules of this series and offering up 3 books that begin on or take place entirely during Halloween. Believe it or not, there’s a dearth of modern YA that takes place on Halloween or that uses Halloween as a plot point. Sure, there’s plenty of scary stories, but very few use Halloween as a focal point in some way. But if we go back to some older YA — especially the kind of YA that borders closer to really being middle grade fiction — there are a few titles where Halloween is a big deal to the story. This week, three modern titles will be complemented by three vintage/nostalgic/way-back YA titles, for a total of 6 on the YA theme of Halloween. Not all of the stories are necessarily about Halloween or Halloween celebrations, even if that’s where they begin, end, or what they include. 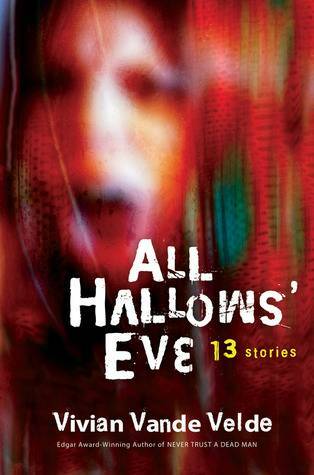 Vivian Vande Velde’s All Hallows’ Eve is a collection of 13 short stories, each of which takes place on Halloween. The stories span the range of horror — some are disturbing, while others are gruesome, and some fall in between the two. There’s a story of a boy trapped in a possessed car, a girl who gets pulled into a crypt, a haunted hayride, and more. 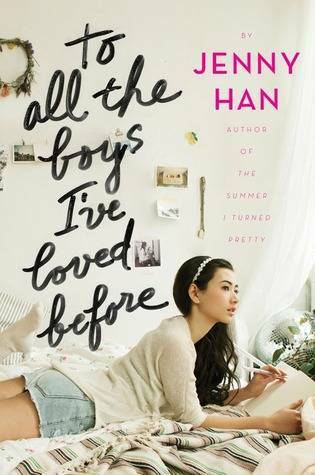 To All The Boys I’ve Loved Before by Jenny Han isn’t about Halloween nor is it any sort of creepy story. Lara Jean has never told her crushes how she feels about them; instead, she’s written them letters and hidden them in a box, never to be seen. Then the worst thing that could possibly happen happens: the letters get sent to all of the boys. Now, Lara Jean has to face them all and explain the letters — and her feelings. So while having to face all your secret crushes like that might be scarier than some of worse Halloween tricks, the reason Han’s book is included in this list is because there’s a big Halloween party in the story. Lara Jean talks about the challenges she has in choosing what costume to wear because there are so few options for Asians to be Asian characters. She decides this year she’s going with one of her crushes to the party as Cho Chang from Harry Potter. 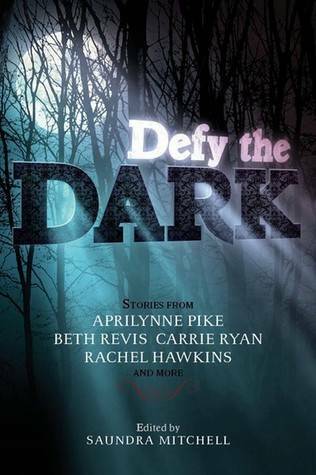 In Defy The Dark, an anthology of short stories set in the dark, edited by Saundra Mitchell, Malinda Lo’s “Ghost Town” is set on the night of Halloween. Ty recently moved from San Francisco to small town Pinnacle, Colorado. She’s extremely unhappy in her new location, since it’s not as open minded as San Francisco, and she’s unsure yet how much she can be open about her sexuality and who she is. On Halloween, she’s invited out on a ghost hunt with Mackenzie at the Spruce Street Guest House, long rumored to be haunted. This isn’t about light-hearted fun, though. Mackenzie is out to play a nasty trick on Ty. But Ty might be quicker and smarter than Mackenzie could anticipate. Now, let’s take this Halloween fun old school . 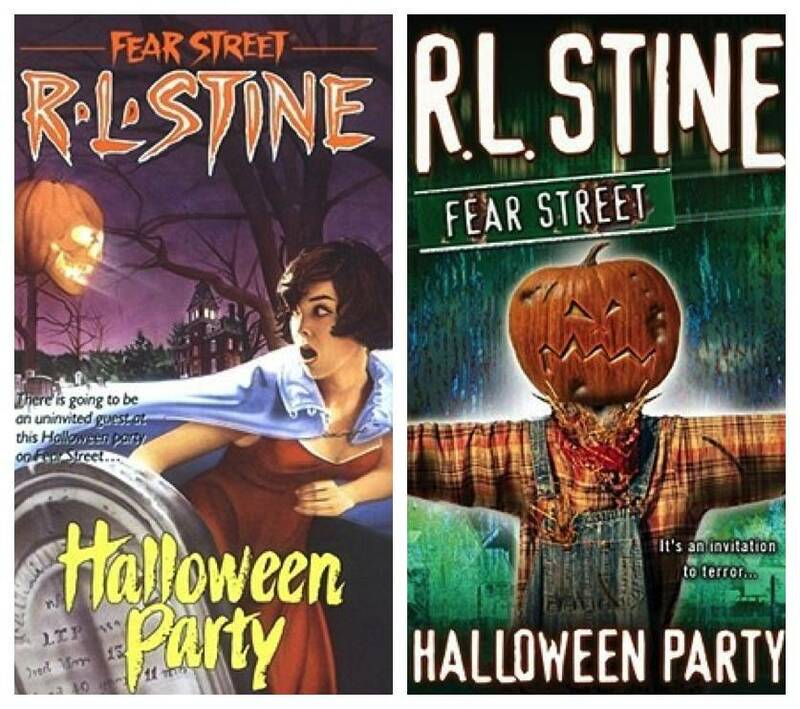 . .
Master of teen screams R. L. Stine has Halloween covered in Halloween Party, the eighth book in the “Fear Street” series. Terry and girlfriend Nikki have no idea why they’ve been invited to the all-night Halloween part on Fear Street — they weren’t familiar with the transfer student who was throwing the big bash. The invitation, which arrived in a black boarded envelope, resembled a coffin. When the lights cut out at the party, they thought it was part of the ambiance. But when the lights come back on and there’s a boy with a knife in his back lying on the floor, they know this isn’t just a fun costume party. It’s much more sinister. 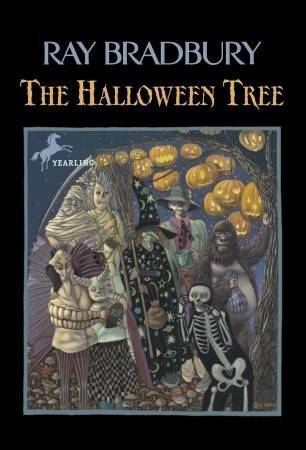 Described as the Halloween version of A Christmas Carol, Ray Bradbury’s The Halloween Tree follows eight boys on Halloween night as they meet their friend Pipkin at a haunted house just outside of town. It’s there they meet Mr. Moundshroud. Pipkin, though, runs into a dark “something” as he attempts to meet up with his friends, and it’s Mr. Moundshroud who tells the history and meaning of Halloween to the group of remaining boys as they search for their now-missing friend. The Halloween Tree travels through time and through space, and the book itself includes illustrations. Leave it to the Baby-Sitters Club to work a holiday into the story line. In Dawn and the Halloween Mystery, the bulk of the story doesn’t happen on Halloween, but because Halloween plays such a huge role in the story, I’m including it. 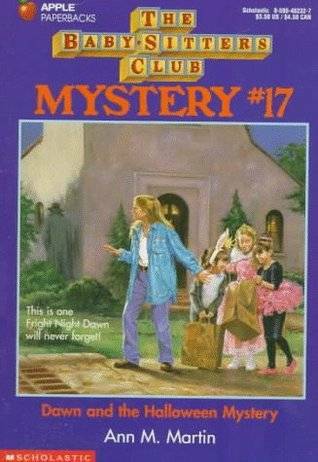 Dawn and the We Love Kids Club are super excited about Halloween night, but when a robber holds up a store in Dawn’s neighborhood the night before, things turn scary in an entirely different way. Dawn witnessed the get away, and now it’s up to her to track down the thief and hope that the big night of tricks and treats isn’t ruined. Giveaway: What's the Book You're Most Thankful For?